Ruby Mountain Heli-Experience is different. Imagine a 200,000-acre wilderness setting with ten peaks that tower more than 9,000 feet above the surrounding terrain. Imagine moisture-rich storms sweeping across the arid high desert region, dropping multiple feet of dry, fluffy powder on the higher landscapes. Imagine that the only way to get there is by helicopter... and there are no tracks anywhere that indicate the best routes down. 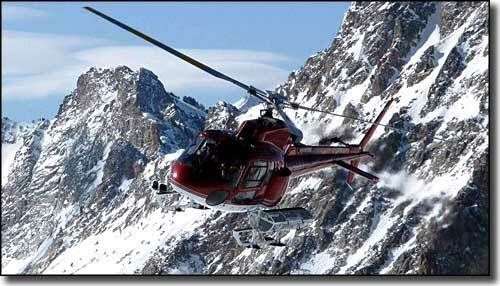 National Geographic has rated Ruby Mountain Heli-Experience among its "Best American Adventures." Ruby Mountain Heli-Experience is headquartered in a ten-bedroom hunting lodge in the small town of Lamoille at the western base of the Ruby Mountains. Photo courtesy of Ruby Mountain Heli-Experience.